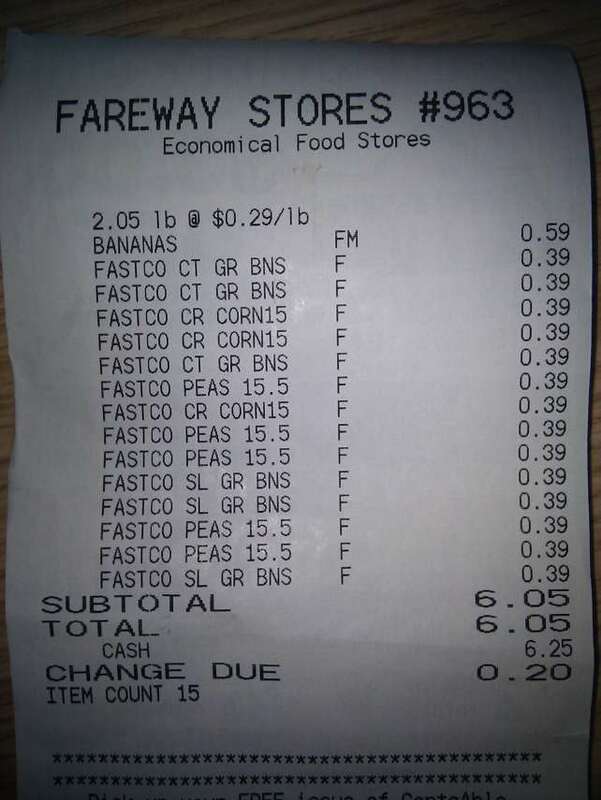 How hard is it to live on food stamps? 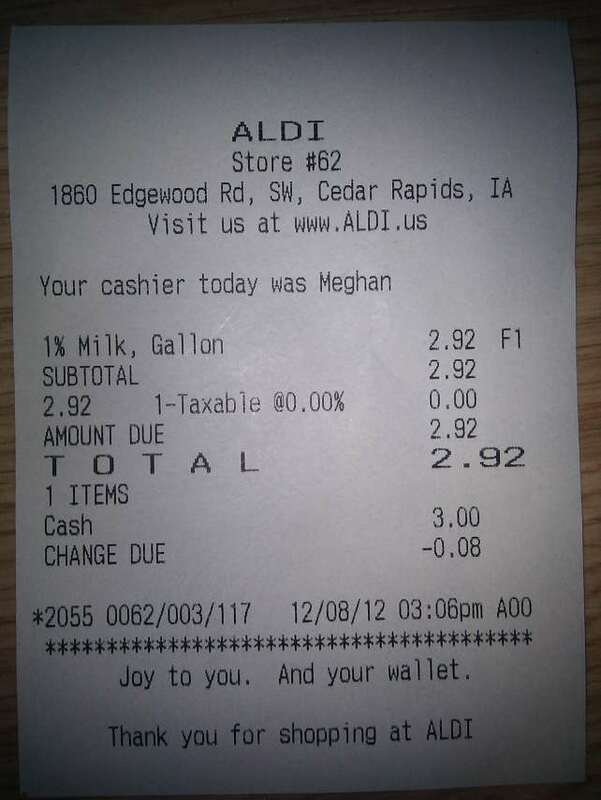 In FY2011, participants in the food assistance program in Iowa received an average of $126.33 per month. Multiply by 12 months to get $1515.96 per year. 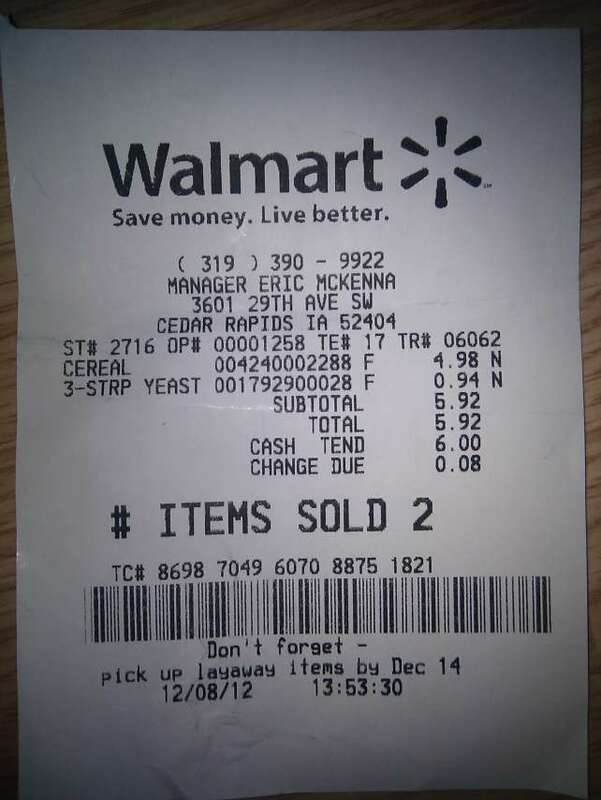 Divide by 365 to get $4.16 per day. Multiply by 7 to get $29.07 per week. 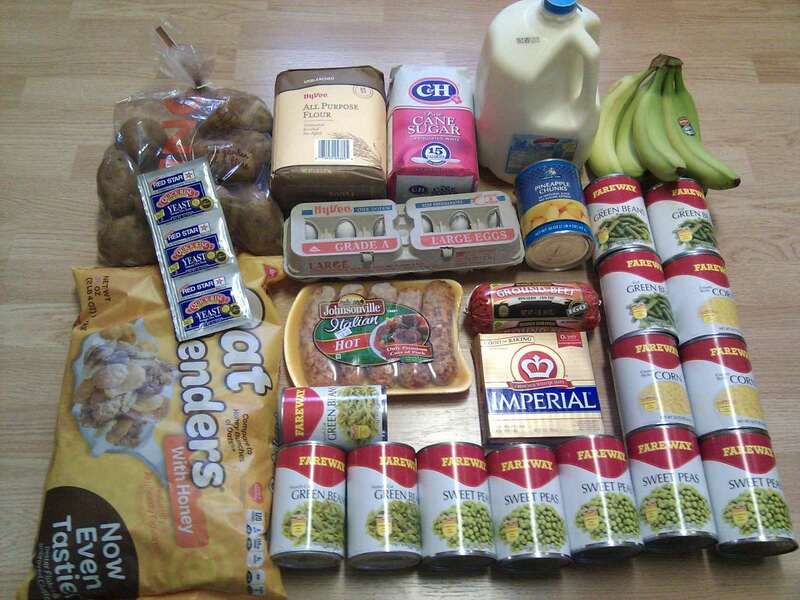 I’ll be doing a one week challenge, so I’m looking at a food budget of $29.07. Can I survive on that, and if so, how well? That is the challenge I’m looking at - 21 meals on $29.07. This challenge does assume that you have a refrigerator, an oven, running water, pans and utensils, and the ability to get to a grocery store. Breakfast is very repetitive for me, milk and cereal. This is what I eat normally, so no sacrifice here. These two items will occupy 7 of my 21 meals, meaning I only have to plan for the other 14. 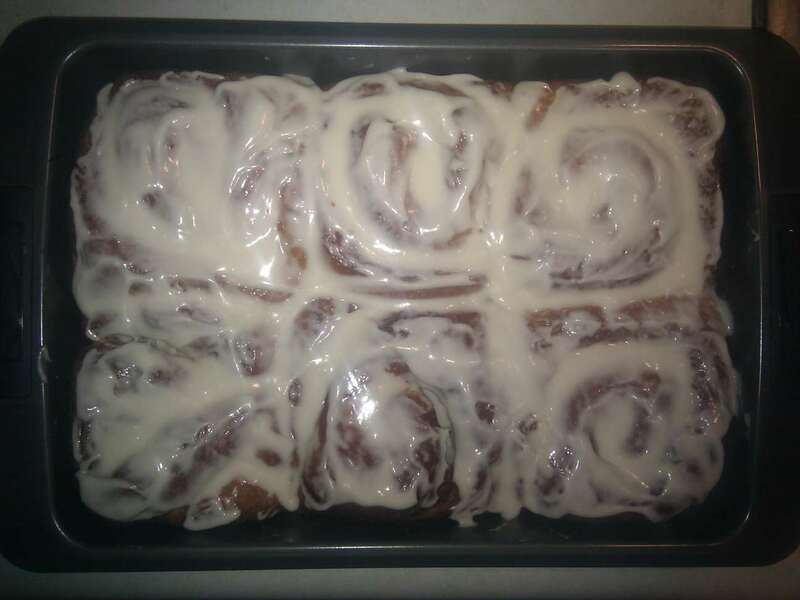 I have a sweet tooth, so I included the ingredients to make cinnamon rolls. The recipe I have will make 12 rolls, so this gives me dessert for 12 of the 14 noon and night meals. Note that I have allocated $1 towards miscellaneous spices to cover the minor ingredients such as salt, cinnamon, and vanilla. There is such a small amount of these ingredients used that $1 per week, over a longer time line, would easily cover your inventory of spices. Also, I have purchased a large bag of granulated sugar. This is far more than I need in one week, so I will pretend that I have swapped some for powdered sugar, which I need for the frosting. Again, this easily averages out over a longer period of time. The cinnamon roll recipe uses one egg, leaving me 11 eggs to eat during the week. This is a good source of protein. There will also be plenty of flour and yeast remaining to make bread. I do want meat in my diet, so I will buy 1 pound of ground beef, which I will split into 3 meals. I will also purchase a package of bratwursts, which is 5 more meals. This means meat in 8 meals, so at least once per day. Vegetables are an important part of a balanced diet, so 14 cans of veggies, equaling 1 can per meal, noon and night. Fruit is also good, so I included a can of diced pineapple and two pounds of bananas. I sourced products from four different stores. All items were at advertised prices. No coupons were used. In hindsight, the only mistake I made was buying the pineapple at HyVee as it was 10 cents cheaper at Fareway. 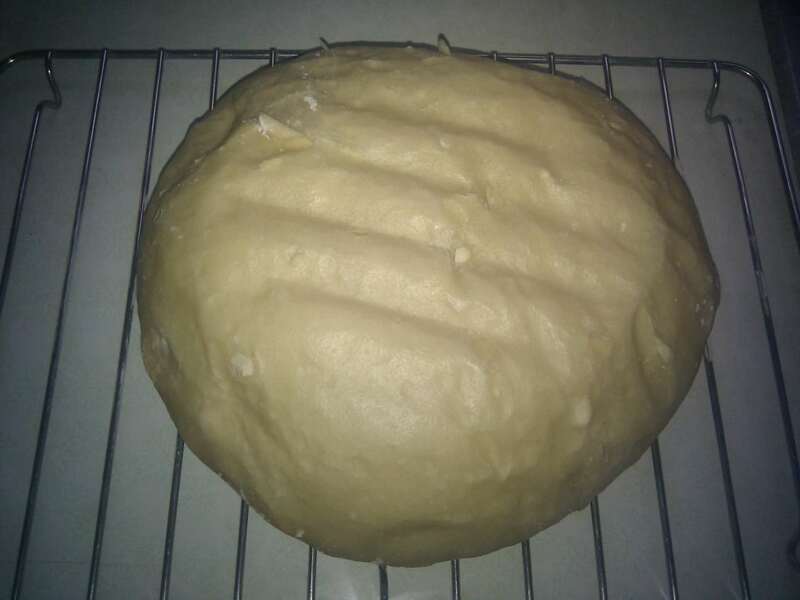 Before going to sleep, I mixed up a batch of bread dough so that it can rise overnight. 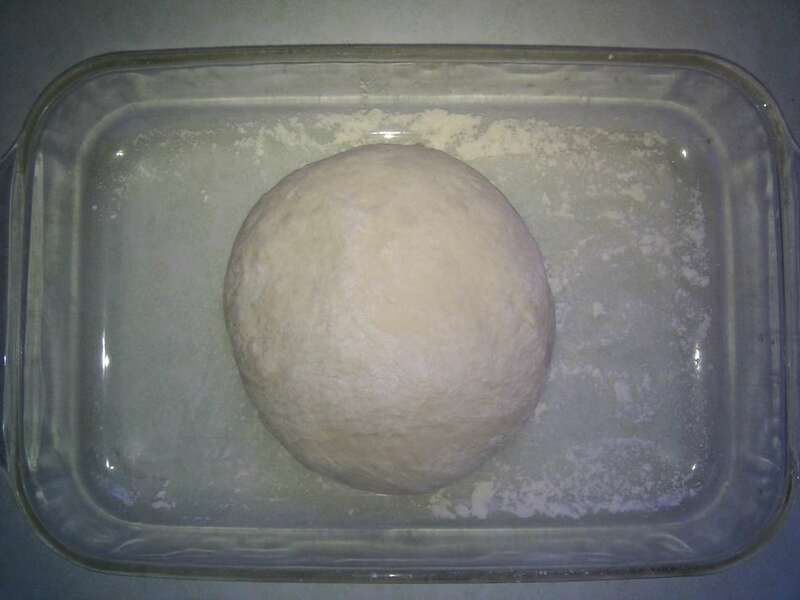 3 cups of flour, 1.5 cups of water, a bit of yeast, and a bit of salt. Breakfast as usual. 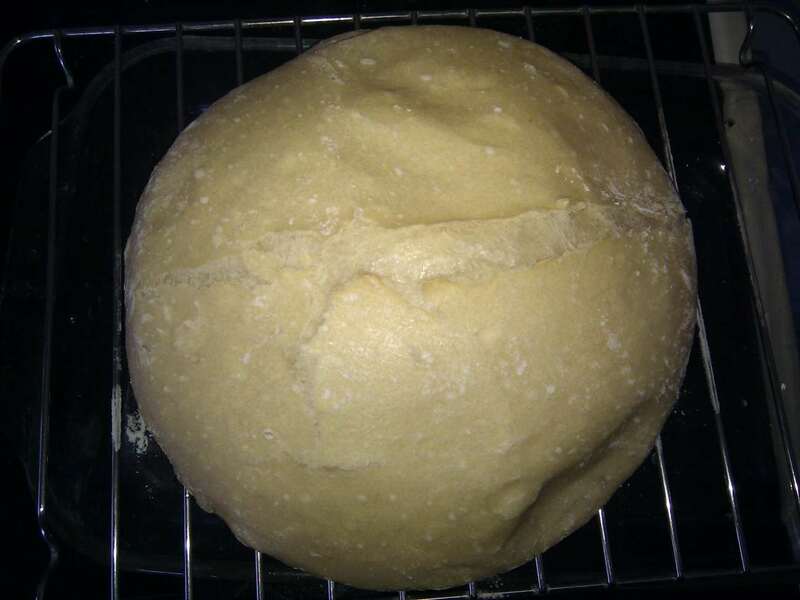 After breakfast I rolled the bread dough into a loaf, let it rise a little more, then baked it. 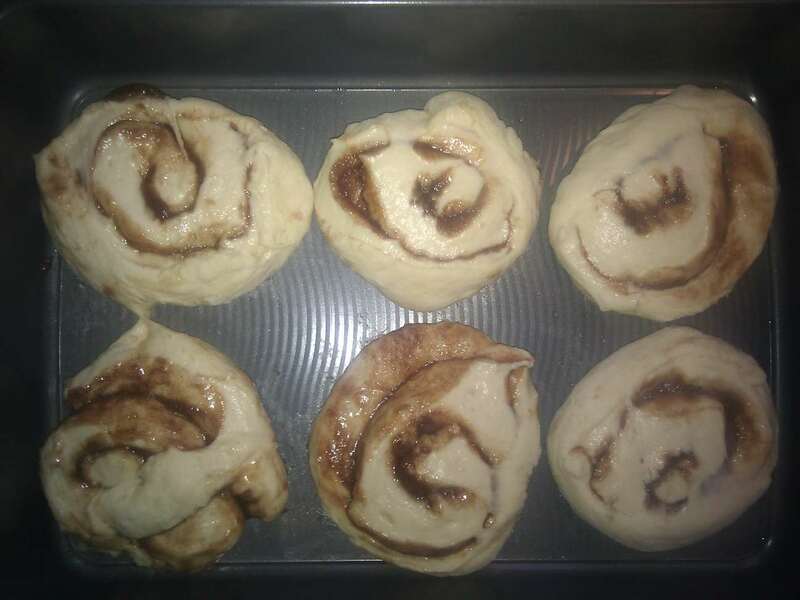 While the bread was in the oven, I made the dough for the cinnamon rolls. 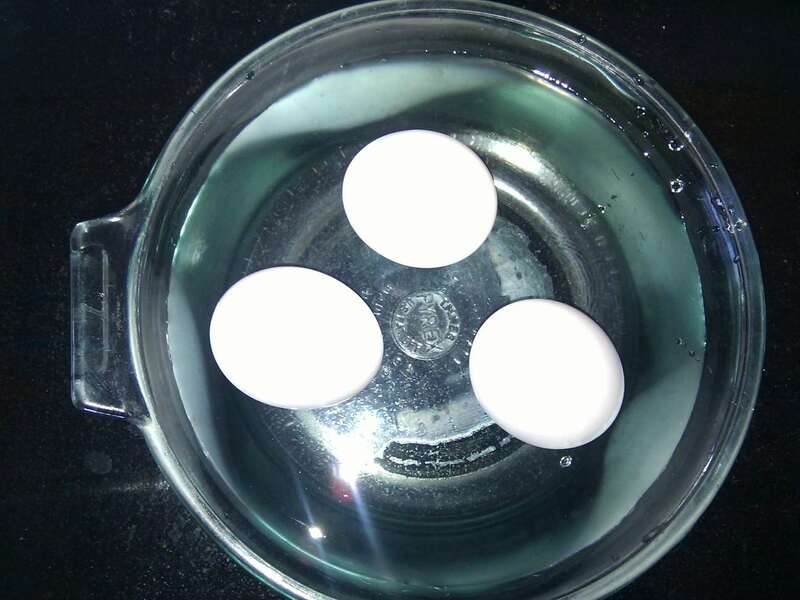 For lunch I hard-boiled three eggs. I ate one and saved the other two for meals later. Also ate a can of peas, and of course some fresh bread. The peas were a little bland, some cheddar cheese would have been nice. Chased it all down with a banana since my cinnamon rolls aren't done yet. For supper I had another hard-boiled egg, green beans, fresh bread, a brat, and a cinnamon roll. Breakfast as usual, nothing interesting to report. Lunch was a banana, a mashed potato mixed with a can of creamed corn and a bit of butter, another hard-boiled egg, and a cinnamon roll. Supper - Green beans are quite enjoyable with a pinch of crushed red pepper. Also a brat, some bread, and a cinnamon roll. I have to say, that was a damn good meal. Lunch was peas, a scrambled egg, two pieces of bread, a banana, and a cinnamon roll. 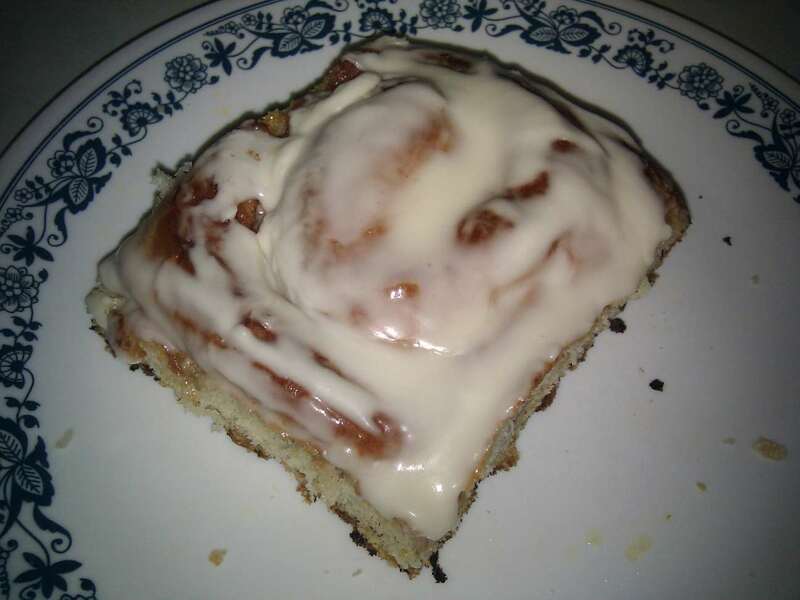 Dinner was green beans, a brat, two pieces of bread, and a cinnamon roll. As this was the last of the bread, I mixed up another batch of bread dough. Breakfast as usual. 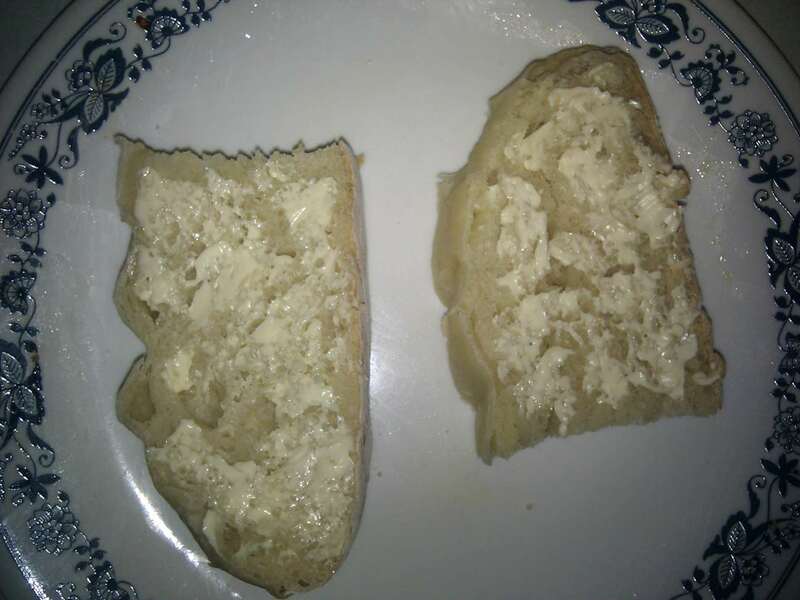 I then rolled the bread dough into a loaf and baked it. Lunch was peas, a hard-boiled egg, some bread hot out of the oven, a banana, and a cinnamon roll. 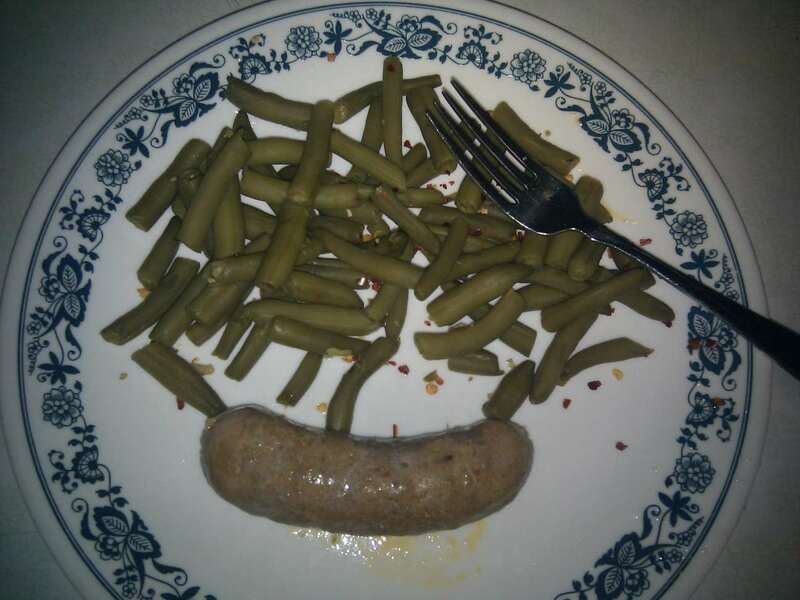 Dinner was green beans, a brat, three pieces of bread, and a cinnamon roll. Lunch was peas, a hard-boiled egg, some bread, a banana, and a cinnamon roll. Dinner was green beans, a brat, bread, an egg, and a cinnamon roll. Lunch was 1/3 lb of hamburger, peas, a banana, and a cinnamon roll. I wasn't feeling awesome, so I just had a small dinner. 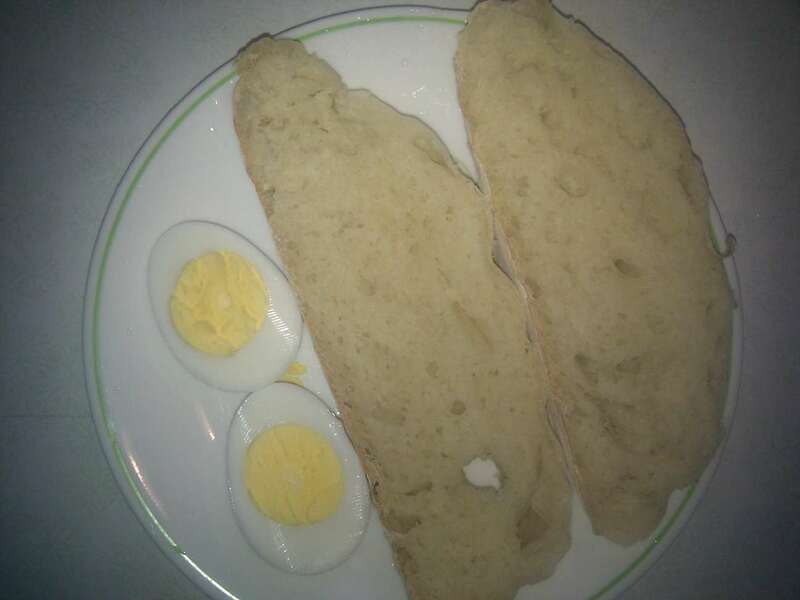 Two eggs and two pieces of bread. Lunch was 1/3 lb of hamburger, green beans, half of the pineapple, an egg, and a cinnamon roll. Dinner was the rest of the hamburger, an egg, the rest of the pineapple, the rest of the bread, and the last cinnamon roll. Unsustainable - I ate too much this week. I was full after almost every meal and gained weight. If I had to do this over again, I would reduce the intake of canned vegetables to 1 can per day and add a head of lettuce for the week. Some cheese would have been a nice addition at times. More fruits would be nice and well as a second desert option. Even at current intake levels, the cost for a second week would be notably cheaper as I have sufficient carry-over of potatoes, sugar, and yeast. I have nearly enough butter for another week at current levels, which I'll admit is more than I should consume in a week. I have enough flour remaining for one more loaf of bread and at least 2 days worth of milk and cereal. 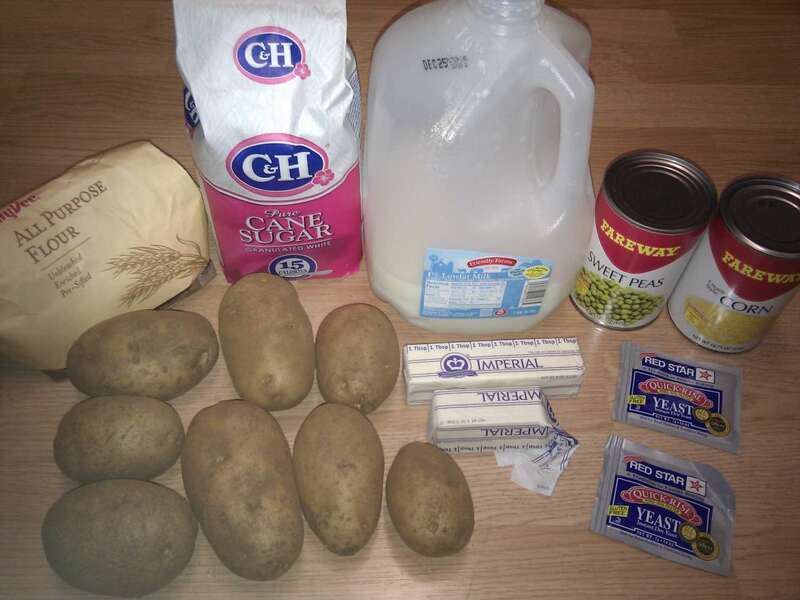 Food remaining: 3.32 lbs of Milk (over a quart), 0.77 lbs of cereal, 3.2 lbs of potatoes, 1.25 lbs of flour, 3.64 lbs of sugar (minus what I traded for powdered sugar), 2 cans of veggies, 1.5 sticks of butter, and 1.5 packets of yeast.